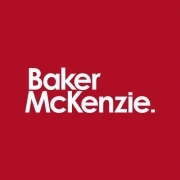 Leading Global law firm Baker McKenzie has been named Europe’s strongest law brand in the 2018 Acritas Mainland Europe Index. The Firm received an overall score of 100 – nearly 30 points ahead of the firm that ranked second place – and ranked top for awareness, favourability, top level engagement, multi-jurisdictional deals, multi-jurisdictional litigation, high value usage and inbound usage. The Firm ranked number one in France and Russia, and placed high in Germany, Spain and Italy. Ranking is based on the responses of 448 senior legal buyers, based in Mainland Europe about their organization’s overall legal needs, and a further 311 senior legal buyers about their international needs in the key jurisdictions of France, Germany, Netherlands, Russia and Spain. The Firm’s European ranking follows Acritas naming Baker McKenzie the strongest global law firm brand in its Global Elite Law Firm Brand Index for the ninth year in a row. In the global survey, the Firm ranked at the top for each of the measures in the Acritas Index – awareness, favourability, consideration for multijurisdictional deals and for multijurisdictional litigation. 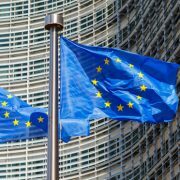 The European Commission on Wednesday launched infringement proceedings against Poland by sending a Letter of Formal Notice regarding its new disciplinary regime for judges. The notice alleges that the new regime “undermines the judicial independence of Polish judges by not offering necessary guarantees to protect them from political control, as required by the Court of Justice of the European Union.” Poland has two months to reply. The Commission is also of the opinion that Poland has failed to fulfill its obligations under Article 267 of the Treaty on the Functioning of the European Union (TFEU), which ensures courts’ right to request preliminary rulings from the European Court of Justice. The EU’s concern about Poland not adhering to EU’s principles on rule of law is increasing. Last December the European Court of Justice ruled that Poland must “immediately” suspend the national legislation which lowered the mandatory retirement age for its supreme court judges. For privacy and data security lawyers at global law firms, there’s never been a busier time. Casati will join the magic circle firm as a partner next week, in a move that will bolster its office in the northern Italian business and financial hub. Prior to joining Cleary in 2004, Casati was Italian senior partner at Allen & Overy (A&O) and one of three co-heads of the magic circle firm’s global corporate management committee. That move made waves in the Italian legal market at the time, as he joined Cleary as its first partner based full-time in the city, with the deal putting him at the top of the US firm’s lockstep. Casati advised on a raft of major deals while at Cleary. Months after joining from A&O he secured a headline mandate for the firm, advising Italian industrial group Finmeccanica on its £1bn purchase of GKN’s stake in AgustaWestland. During the global financial crash in 2008, he co-led the firm’s team advising Italian bank UniCredit on its deal to secure up to €6.6bn of funding, while in 2013 he advised top Italian football club Inter Milan on its takeover by a consortium of Indonesian investors. Last year, Linklaters deepened its Italian offering when it opened a lower cost legal centre in the southern Italian city of Lecce. Alongside Milan, the magic circle firm also has a base in Rome. Other international firms to make inroads in the country last year include DWF, which opened a Milan office with the hire of a 16-strong team from local independent Pavia & Ansaldo. 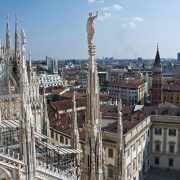 Herbert Smith Freehills is also set to open an office in Milan this year, on the back of the hire of Simmons & Simmons Italy dispute resolution and intellectual property head Laura Orlando. However, a number of law firms have downsized their presence in Italy in recent years, with firms including Ashurst, Simmons & Simmons and McDermott Will & Emery all closing bases in Rome during the past three years. Loath as one is to shoehorn last June’s referendum vote into everything, the prospect of a hard Brexit is suddenly concentrating the minds of UK law firms. 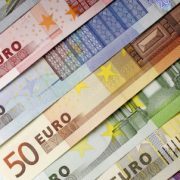 We’re not going to see the wholesale shift of gravity to Frankfurt and Paris, but getting a balanced European offering that is sufficiently responsive to new trade structures has become a major headache for law firms. For the moment, they’re still investing. Research for The Lawyer European 100 report – out this week – underlines how much Continental Europe is still a major draw for UK and US firms alike. Goodwin picked up much of KWM Paris; DLA Piper is frolicking in Scandinavia, and Germany top of everyone’s shopping list. Yes, it’s a congested market, but it’s a rich one. No wonder the US firms keep coming; Clydes launched there last year and Ince and Pinsents each opened second offices in 2016. In their last promotions rounds, the largest 10 international firms in Europe collectively made up 125 new partners – an increase from 104 the previous year. But while many firms with a mature presence in key jurisdictions – either through merger or long-ago launches – are growing their talent organically, the lateral market is still febrile. Poaching the right partner is still the preferred way to do business fast. This week we’re focusing on the key trends on the Continent as part of our European 100 2017 launch. Over this week we’ll be highlighting the firms you need to know about, their talent strategies, and their respective positioning to help you get a sense of activities across different jurisdictions. If you’re in the market for recruitment on the Continent, you’d better read it. Olswang’s former intellectual (IP) litigation partner Thomas Lynker is among a group of lawyers to break away from the firm following its merger with CMS Cameron McKenna and Nabarro on 1 May to launch his own boutique in Munich. The new firm, Taliens, has offices in Munich and Paris and will specialise in IP, tech and media, continuing the legacy of Olswang. Lynker is joined in Munich by former Olswang counsel Monika Stoehr. Olwang partner Clara Steinitz and Jean-Frederic Gaultier will practice from the Paris office. The new firm will also have a presence in Spain through its association with Madrid-based firm Baylos. The boutique’s key clients include Chinese conglomerates TCL and ZTE. Lynker is one of a string of partner exits from the firm ahead of the merger on 1 May. He terminated his contract with Olswang Germany on 28 April, along with Paul Stevens, the former executive partner of CMS. On 30 April, Tobias Reker, Robert John Stephen, Robert Alan Heym and Uli Foerstl terminated their contracts with Olswang, with the latter joining IP law firm D Young & Co in Munich and Heym joining CMS. It is thought that CMS will retain Reker, two associates and two patent engineers from Olswang’s Munich patent prosecution team. They will join the UK’s LLP instead of CMS Hasche Sigle Germany branch and will remain based in the Munich office until they are relocated to an office in the European Patent Office. The news of the launch of Taliens ends speculation as to the fate of Olswang’s five-partner strong Munich base. 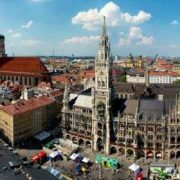 Fieldfisher and Cooley were tipped to take over the Munich office but the talks fell flat. In March, Dentons hired a five-lawyer patents team from Olswang ahead of the merger. The team is led by partner Justin Hill, whose move was announced at the end of last year. He had co-chaired Olswang’s patent prosecution practice in London.